grits carolina blonde - Go Fit Girl! | Go Fit Girl! My first night in Charlotte I was quite tired after a full day of travel. 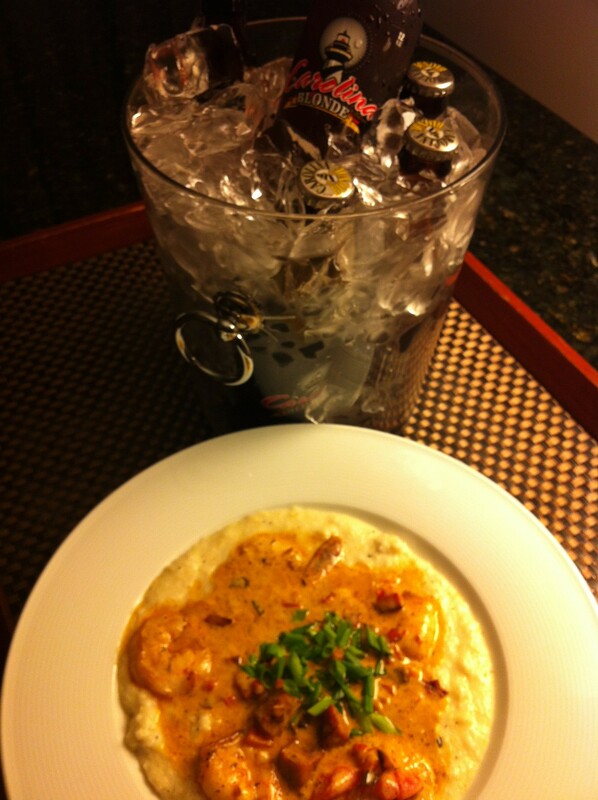 So I just enjoyed some room service with Carolina Blonde and shrimp grits. Wow, delicious.